Most of us are not born with an entrepreneurial mindset. It’s something you must develop if you want to succeed with your own business. So many things contribute to the mindset of an entrepreneur because each person has their own personality to work with. Many people dream of being an entrepreneur and living life on their own terms. But few know how to actually make that happen. 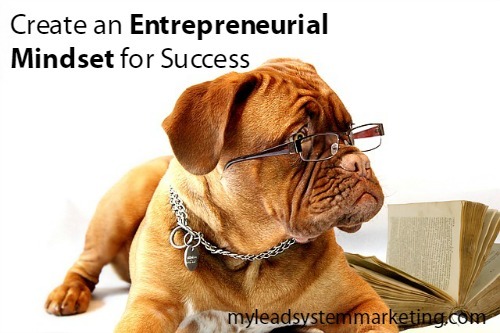 It all starts with creating your entrepreneurial mindset and setting yourself up for success. The biggest reason why people succeed with their own business is mindset. You can have all the how-to knowledge but if you lack an entrepreneurial mindset, you will likely fail. Your thoughts and beliefs are the keys to entrepreneurial success. Being able to step out of your comfort zone and pick yourself up after everything goes wrong are the results of a success mindset. With so many up and downs, being an entrepreneur can be a challenge. Develop the mental toughness you need for success. What are entrepreneurial traits to move you forward? Every successful entrepreneur talks about networking and how important it is to success. Go out and make connections with people. You never know who you will meet: an investor, partner, team to build your business or word of mouth marketing. Always lead with value and be a giver instead of always asking for something. Creating your vision for your life is key to the entrepreneurial mindset. Staying in control of it mean that even if others laugh at you or say negative things, keep your vision clear in your mind. Do not let anyone take it away from you. Keep moving towards your vision no matter what. That’s what it means to have an entrepreneurial mindset for success. Learn a lesson and move on. Don’t make the mistake of getting down and feeling like you can’t go on. Use it to energize yourself with new ideas and an even stronger desire to build your business. Entrepreneurship comes with unexpected problems and sometimes things just don’t go as planned. Being a problem solver and rolling with it is part of your entrepreneurial mindset that will keep you moving forward. Learn to recover from any setbacks and don’t wallow. If your glass is half empty, you are in for a bigger challenge than expected. A true entrepreneurial mindset stays positive no matter what the situation is. Being optimistic in a negative world can be tough but it’s doable and can mean the difference between success and failure. I recommend that you start each day with a grateful heart and take it from there. Mastering an entrepreneurial mindset is not for the faint of heart. If you believe in yourself and your vision, you can make it happen! 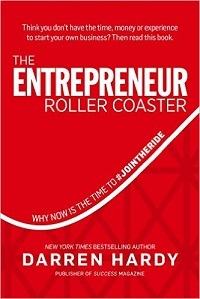 Are you a struggling entrepreneur? I highly recommend this book “How Successful People Think” by John C. Maxwell. You’ll learn what successful people from all walks of life have in common. I think you’ll agree with me when I say that a majority of people want to throw in the towel when they don’t get results right away. I’m guilty of doing that myself, but used those lessons I’ve learned to do better at other adventures. 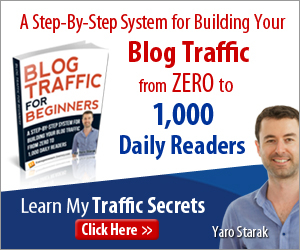 Thanks for visiting my blog Monte! I appreciate your comment. I absolutely agree. Most people give up after a minute or two. I have seen more blogs come and go and it makes me sad that people give up on their dreams so easily. An entrepreneur mindset is like anything else that needs to be developed. Keep working at it. Keep moving forward.